Everspin announced that the company recorded revenue for its first 40nm 256Mb STT-MRAM (pMTJ) products in Q4 2017, and is now ramping up volume production. The 256Mb STT-MRAM employs an innovative ST-DDR3 interface, unlocking performance previously unattainable in legacy MRAM components. 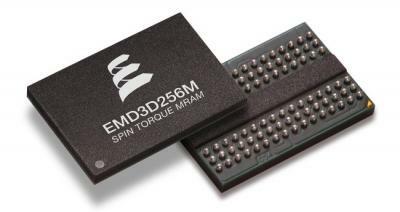 These new 40nm 256Mb chips are produced by Global Foundries, Everspin's production partner, which says it is on track to its risk production release of 22FDX eMRAM in 2018.